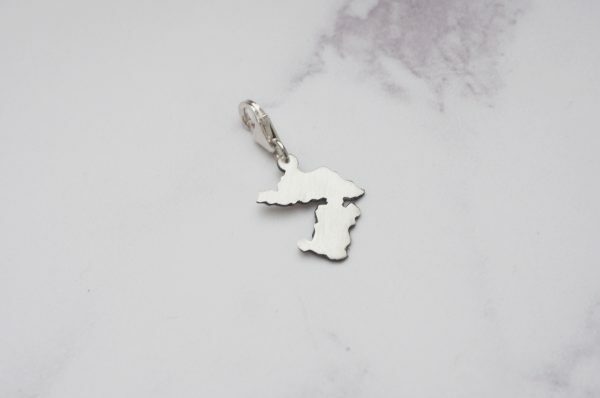 Hand cut from Sterling silver, this gorgeous Raasay map charm will brighten up your charm bracelet! As each one is handmade, no two will ever be the same.. 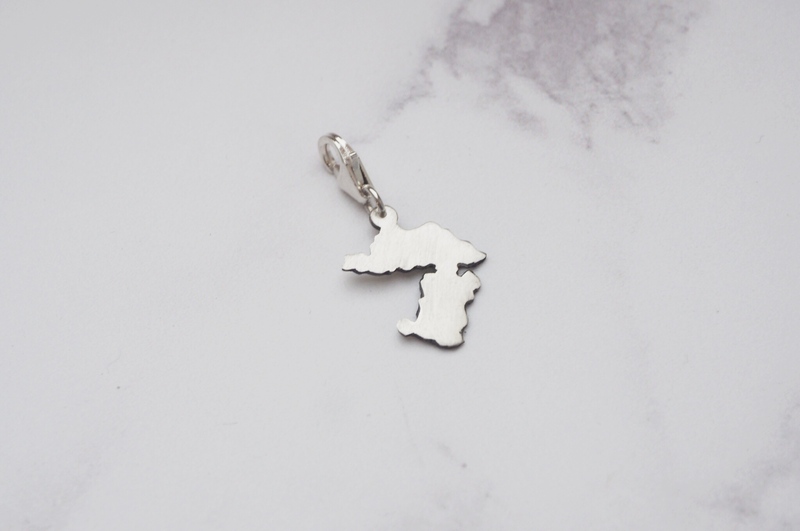 These can be added to a variety of bracelets, also have a look at the chains we have available if you are needing one..
Harris is about 15mm H x 17mm at the widest. About 3cm long including the clasp. I loved my Harris charm bracelet and had bought it for my daughters birthday who was so chuffed with it. Beautifully made.